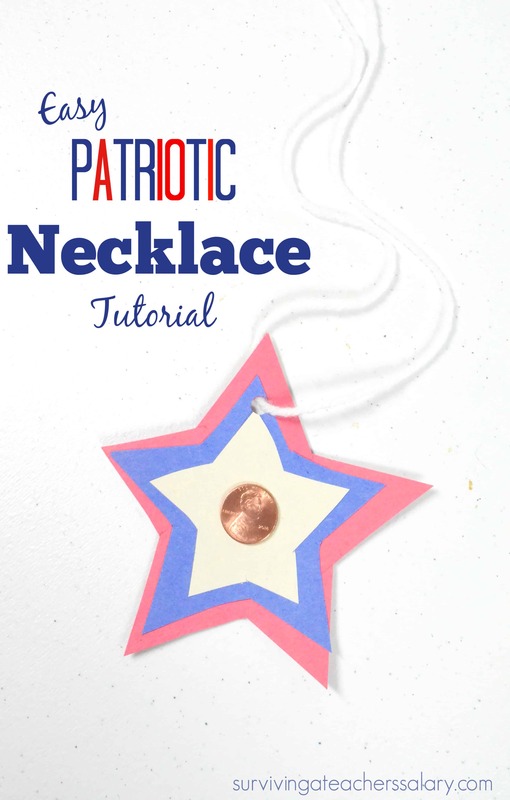 We made this easy red, white and blue star Patriotic Necklace to go with our Literary Guide for the children’s book “I Am Abraham Lincoln” but you can use it for 4th of July crafts, President’s Day crafts, or any other occasion! 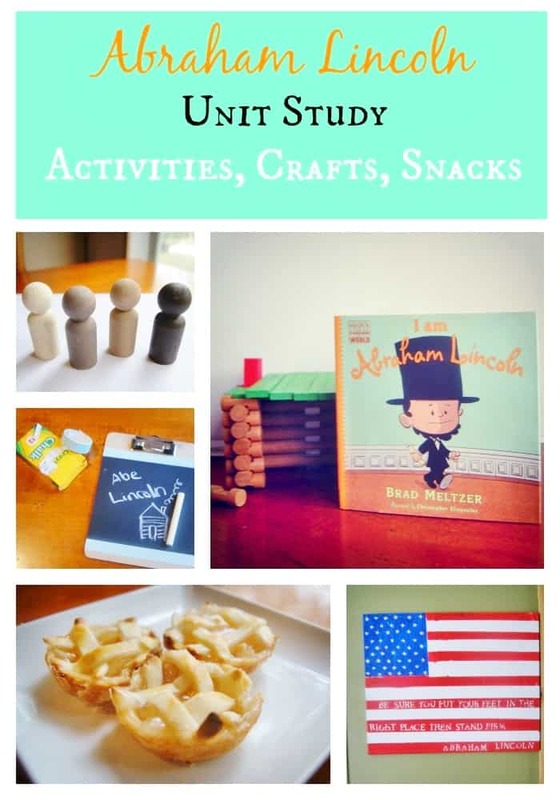 This is also featured in our “I Am Abraham Lincoln” Teacher’s Literary Guide geared for 2nd-3rd grade with 5+ Days of Teacher Guided Reading, Worksheets, STEM activities, crafts and MORE! ALL Common Core aligned! 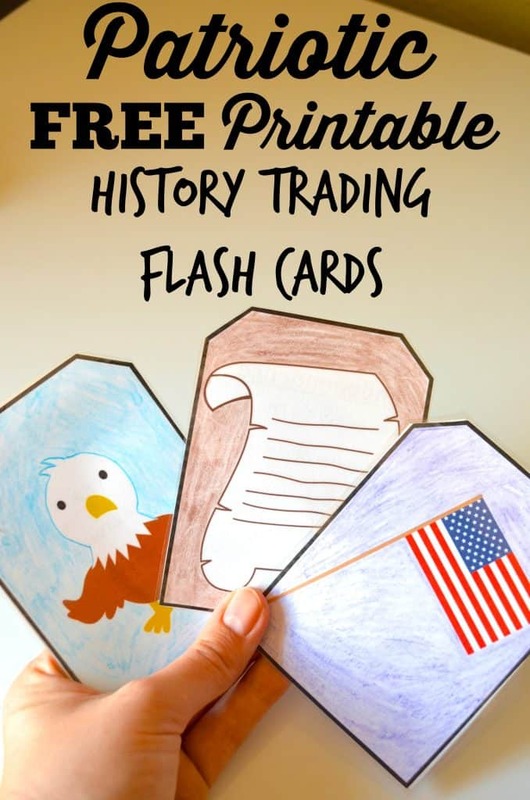 I have a TON of patriotic themed crafts and recipes as well as President’s Day printables and activities specific to various presidents! Just use our search bar to find them or at the bottom of this post I’ve linked to some of our other ones for you! If you need a guide to cutting out your stars you can print our simple stars sheet here. 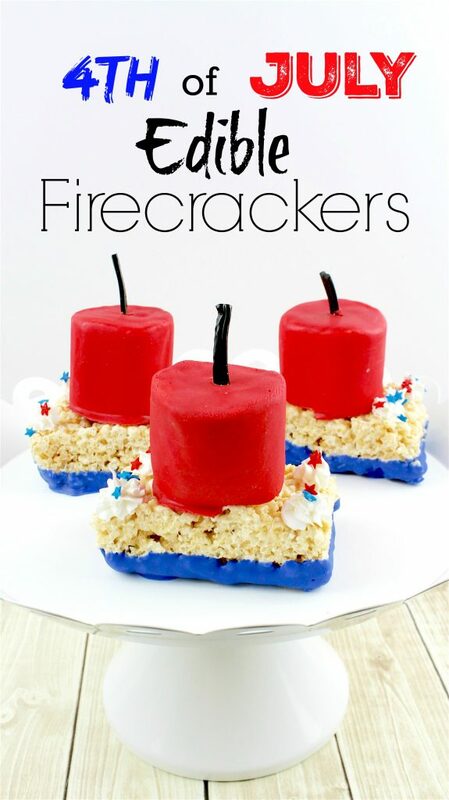 Then just cut out 3 different sized stars of your choice. 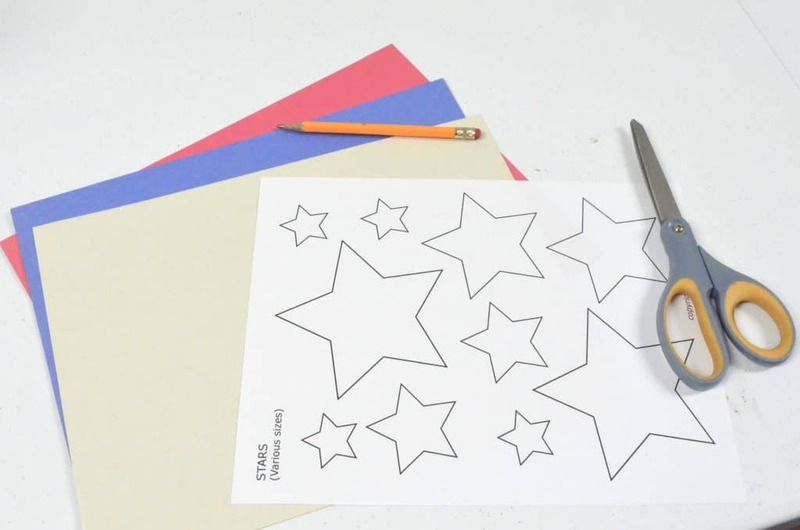 Trace your stars onto red, white, and blue construction paper. 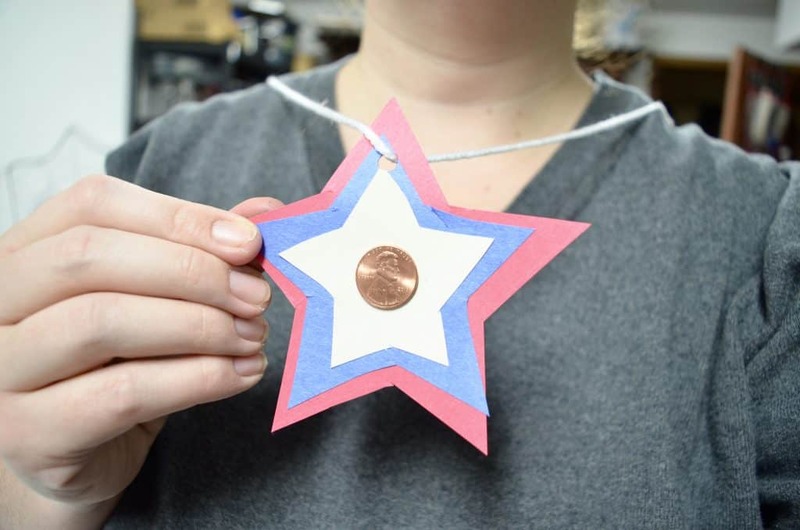 For our necklace we chose the red star as our largest, the blue star as our 2nd largest, and the white star as our smallest. 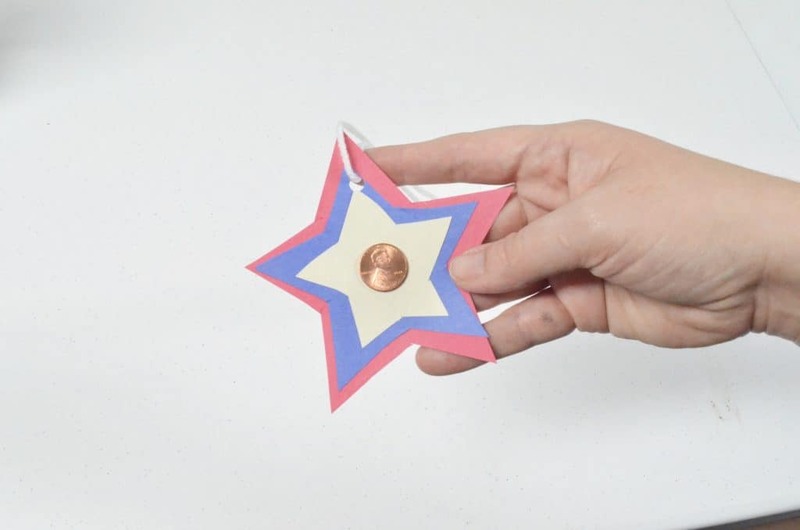 Using your Elmer’s glue stick glue all of the stars right on top of the other and glue the penny in the middle at the end! I recommend the Elmer’s Re-stick Glue Sticks for younger children so they can move their stars around to wherever they need them to be. Using your hole punch add 1 hole into the top of the star. Lastly, thread your white yarn through the hole, long enough for a child’s head, and tie it off to make your star necklace! 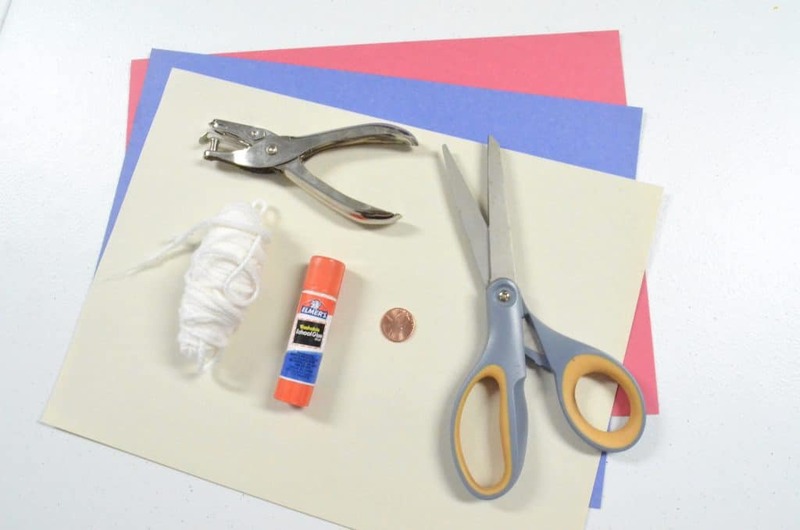 This activity pairs great with the I Am Abraham Lincoln children’s book (activities for that book here), President’s Day, 4th of July, any patriotic holiday or festivity, etc.